For PowerCLI tip part 3, it will be going through advanced reporting using ESXCLI. For the contents below, the version of ESXi server used was 5.5 No Update. PowerCLI itself already has most of the functions to generate a report. However, there are some ESXCLI commands that could be used to produce a report in a faster and easier way. This will be discussed in the later sections with specific examples (scenarios). Before starting, one of the advantages of running ESXCLI through PowerCLI is that SSH does not have to be enabled. But, it requires certain roles so might as well run it with Read-Only account and add permissions accordingly. The output looks very similar to running ESXCLI on ESXi shell. The difference is, for example, if you want to call storage object, then you run $esxcli.storage. No space in between, i.e. esxcli storage. NOTE: For the report below, I am assuming the virtual disks from storage array are mapped to all ESXi servers in a cluster (Well I guess this is usual for most of people to benefit from HA/DRS). It outputs the list of all paths of storage devices attached to this ESXi server. It outputs the list of all storage devices attached to this ESXi server. 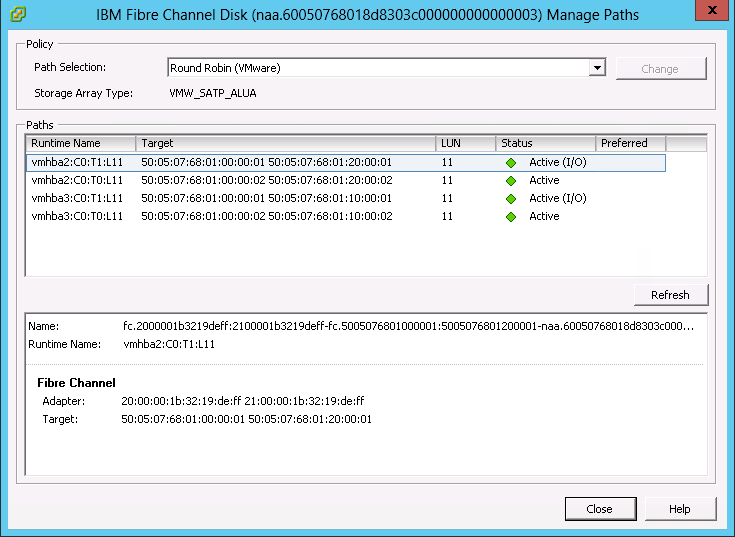 Then, using the device list, filter it to query only Fibre Channel devices and for each of them, if the list of path match to this device, select elements. With the report above, it would be very handy to identify which virtual disks are being wasted. It outputs the list of all storage devices partitioned (formatted) with VMFS volumes attached to this ESXi server. Hope the examples above were easy to follow and let us move on to Network. One of the VMware administrators deployed vRealize Log-Insight and before configuring ESXi servers to point to Log-Insight, he wanted to check the allowed IP addresses configured before and remove them in advance. It was configured to restrict access to syslog server for security purpose. I wrote an article about Advanced LACP Configuration using ESXCLI, I suggest you to read it if not familiar with LACP configuration on ESXi. For the configuration report, you might be interested in Fast/Slow LACP period as mentioned above. With the report above, network team could find out which ESXi server is configured with Fast or Slow so that they could configure the LACP accordingly (LACP period mis-match is not good!). In this blog post, it discussed the way of using ESXCLI command to generate an advanced report. I didn’t go through properties deeply as I discussed in Part 2 and you could slowly take a look properties on your own. Hope it was easy enough to follow and understand. On the next series, I will be discussing how to use PLINK to generate a combined report with ESXi and non ESXi. Always welcome for for you to leave a reply for any questions or clarifications.